Torque Solution Silicone Intercooler Boost Hose Set is a must have for your Porsche 997.1 Turbo. They have been designed for optimal flow using high quality 4 layer silicone. They withstand higher boost pressures and heat over the OEM hoses. 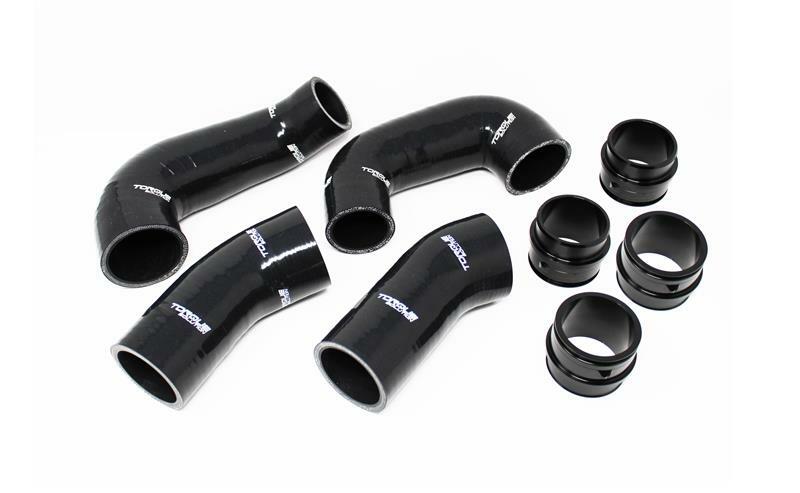 We also include (4) Black Anodized CNC Billet Aluminum Couplings for a perfect fit and finish.